This post is brought to you by Humana. Click here to learn more. Insured Americans are more likely to face healthcare paperwork overload than any other industrialized nations, according to a recent report by The Commonwealth Fund, a private foundation whose mission includes various improvements to the U.S. healthcare system. In fact, a staggering one in three American adults reported spending "a lot of time" managing their insurance paperwork, where only 25 percent of Swiss, 19 percent of Dutch, and 17 percent of German respondents claimed the same. Healthcare giant Humana is making strides to tackle the healthcare industry's paperwork problem. 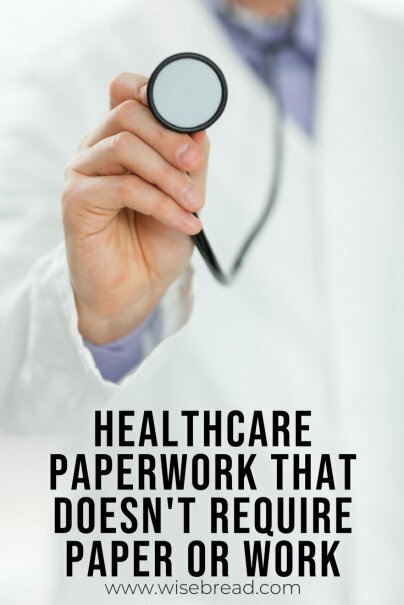 The company recognizes the frustration that comes with filling out, figuring out, and following up on healthcare insurance forms. Through use of its online dashboard, MyHumana, the company has created a secure, easy-to-use portal that makes it easy to navigate your health information from anywhere you are. All you have to do is log on through your computer, tablet, or smartphone. The online portal cuts the annoying paperwork right out of the equation. With MyHumana, all your information is in the same place. There's no need to go back through your plan paperwork or check your personal medical history files to get answers to current healthcare questions. It's all available through the portal, just a mouse click away. Know exactly what your deductibles are for medical, dental, vision, and prescription coverage. The portal also shows you how much money has gone toward each deductible during the plan year, including how much you have remaining before your annual deductible is met. If you're not sure of your member ID number, group ID, plan type, or start date, it's all right there, in the portal, for easy access. If you're not sure if you owe money for a recent doctor's visit, you can easily log on and check it out. The portal displays each claim number, the date of the claim, the amount paid, and the amount due. You even see the original amount billed, any discounts applied, and how much was paid by your plan (versus by you). In the event you have a question that's not answered through the portal and are logged in from your smartphone app, there's an easy-to-use phone icon that can automatically connect you with a Humana associate. You won't have to wonder whether a doctor is under your planned. The online search will help find one that's covered through your plan. Before you schedule your next office visit, you can quickly check the portal to find an in network provider. You can look for doctors, dentists, hospitals, pharmacies, and urgent care centers. You can choose to look a provider up by name. Or, if you don't have a specific specialist or other professional in mind, you can search for in network providers in your area. All contact information including phone, street address, and even distance from you are quick and easy to view. With just one click, your smartphone will automatically dial the provider of your choice. The portal can be used to find what your new prescription will cost or just to research cheaper, generic alternatives before you get to the pharmacy counter. Right from the portal you can input your drug and dosage. MyHumana will automatically compare the cost of your prescription from both local and mail order pharmacies, highlighting the least expensive option. Once your prescription is in the system, you can set up a text alert to remind you when it's time to refill, if your benefits change, or if the prescription becomes available somewhere else for a lower cost. You can even set up clinical pharmacy alerts, which let you know if any potential problems arise with the medicine you're prescribed. HumanVitality is a wellness app that allows you to seamlessly transfer your workouts from your heart rate monitor, pedometer, or other fitness tracking device. The program also allows participants to earn points for completing health-related tasks like getting a flu shot, completing an online health assessment, getting First Aid certified, or going for a bike ride. Accumulated points can be traded in for prizes like movie tickets, a heart rate monitor, or even a digital camera. Thanks to Humana's online portal, navigating your health and insurance information doesn't have to be complicated. Now Humana members can safely file their healthcare paperwork away, knowing that most of what they need can be found with the swipe of a finger. Good-bye paperwork. Hello MyHumana.